Stadium on the N2, through Kleinmond, ending off at Benguela Cove. Some of South Africa’s most influential car enthusiasts came together to celebrate the end of a successful year and their love of fast cars. 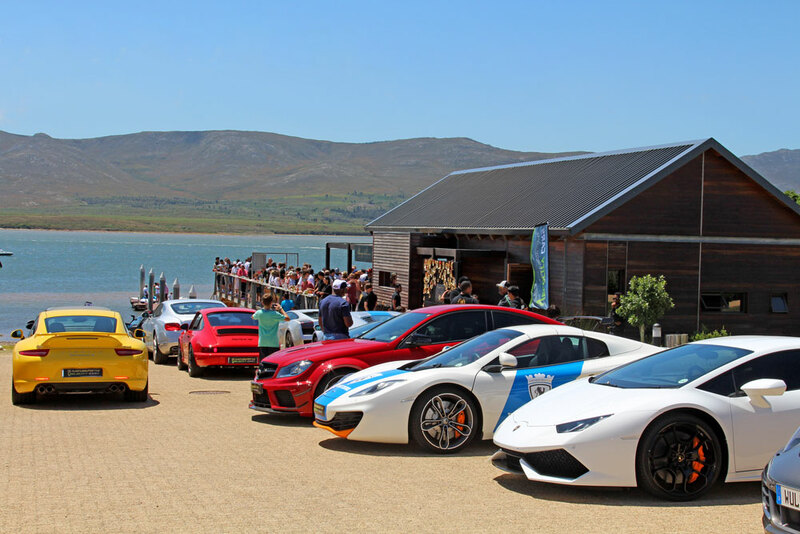 This event can be described as a millionaires playground with a selection of Lamborghini, McLaren, Ferrari, Bentley and Porsche supercar owners and cars represented. Executive Mayor of the Overstrand Municipality, Nicolette Botha-Guthrie with Penny Streeter OBE on the red carpet. View of Clubhouse from the beach. making it the ideal brand to be associated with Penny Streeter (OBE) and Nick Rea’s Benguela Cove upmarket property, estate and lifestyle brands. road safety and supporting local businesses. Ish Kaskar from Last Lion Lifestyle. VIP guests were treated to an entire day on one of South Africa’s prime real estate locations. Benguela Cove’s prime waterfront locations are set amongst lavender fields, olive groves and vineyards amidst the 200 hectare lifestyle farm and exclusive luxury property estate situated in Walker Bay, Hermanus. Property owners are able to partake in a variety of onsite lifestyle activities which include a variety of watersports, sailing on the Bot River lagoon and walks in the private nature reserve. Wild life and a 7km run and cycle trail are two unique features on the estate. Residents of the estate are also invited to exclusive events which include wine launches, food and wine evenings at the Pop-up restaurant and a host of sporting competitions.